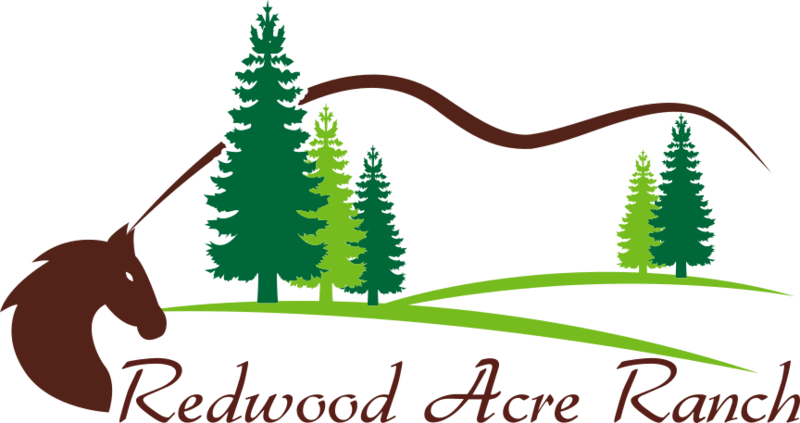 Welcome to Redwood Acre Ranch. Located in the heart of Sacramento, we are just a small family that has a love for little animals. We began with 1 little miniature horse on a 1 acre home and expanded our dream by a few more acres...Feel free to take virtual tour! 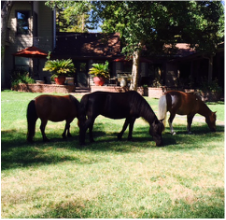 Our miniature horses are definitely a neighborhood attraction. Our minis are broke to drive both in single cart and as a team for wagon pulling. 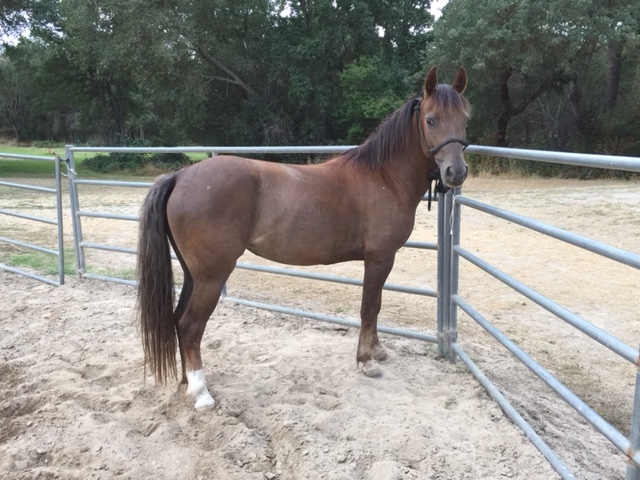 They are also trained in halter, obstacle and jumper. 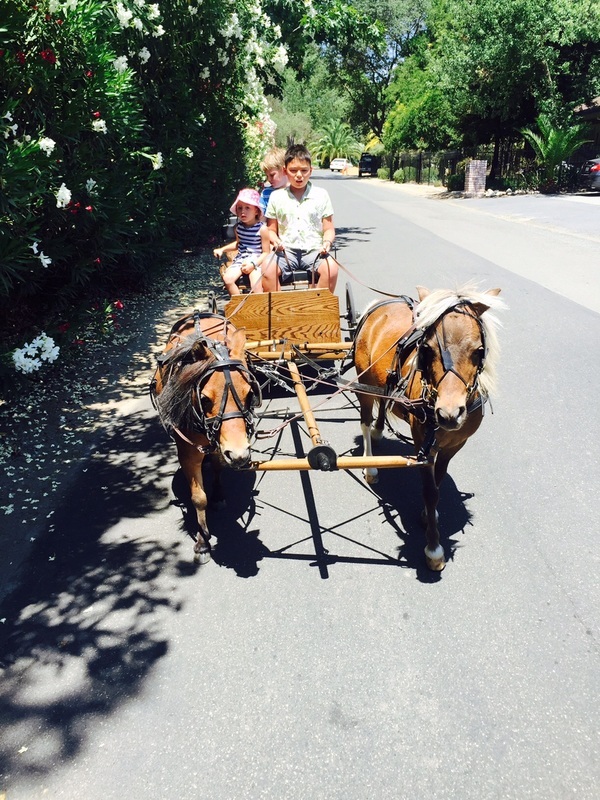 These horses can be hired for birthday parties to do wagon rides. For the local 4-Her, some of these minis are available for lease. 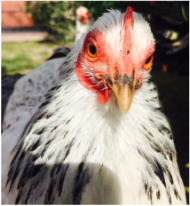 Here on the ranch, we have a small flock of resident cochin chickens (both bantam and giant). There are a variety of colors from blue, black to the traditional columbian cochin markings. *Currently, we are retiring our small flock of chickens. Stay tuned for the next new flock. We raise a small herd of Nigerian Dwarf goats so that each of them get enough human attention. 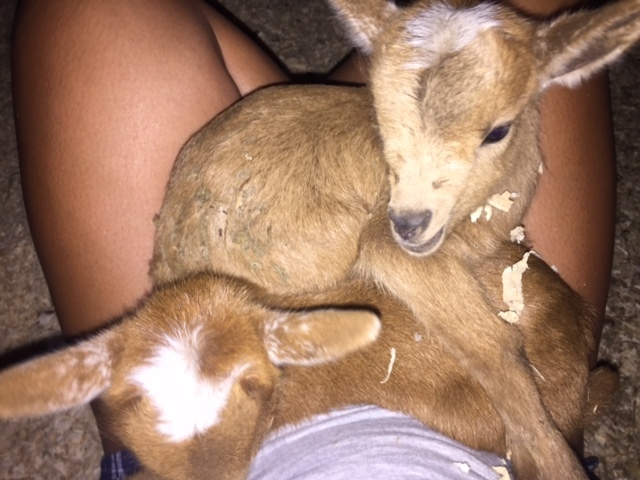 These goats are great for the 4H-er, small farm or as a backyard pet. Coming from a CAE/CL/Johne's free herd. Currently, Redwood Acre Ranch is offering wagon rides at birthday parties! Please contact us if interested. 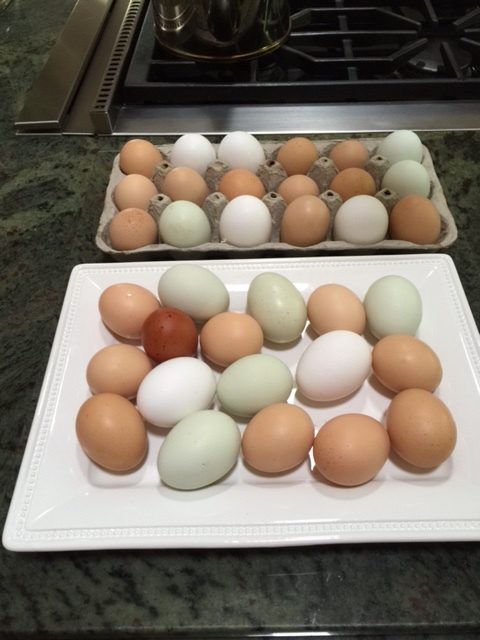 Eggs from our Cream Legbar and Marans hens. 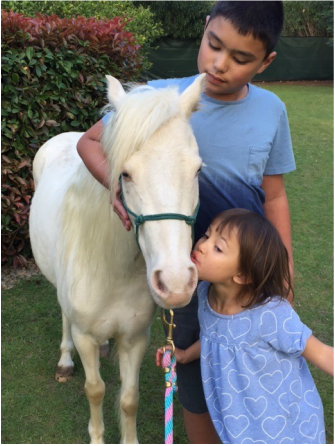 Nellie our cremello American Shetland pony. 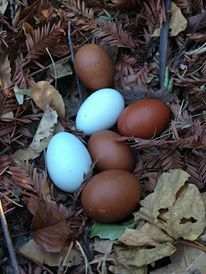 Redwood Acre Ranch also offers fresh eggs for sale. These are from happy free range, no soy, organic feed chickens. Pricing is $5/dozen (delivery available). 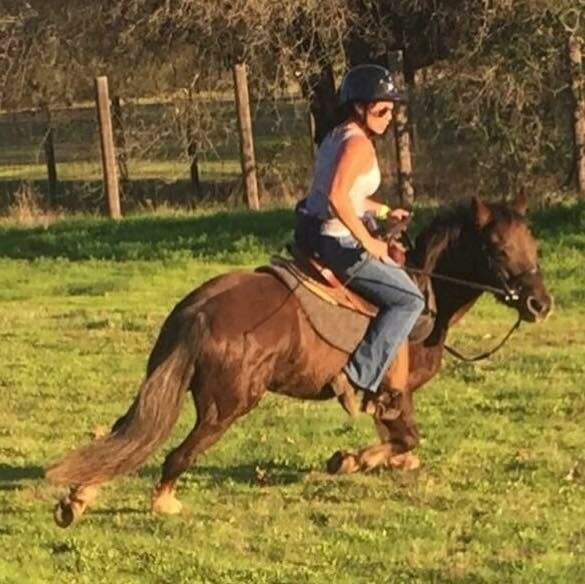 Hallmark BrooklynRose "Rosie"- our POA mare, who does anything from western, english, trail rides to hunter/jumping. She is our wonderful super pony! She is currently being used as a lesson pony. If interested please contact us.